Fall semester transfer deadline MAY 15th. Each academic year a limited number of spaces are available to students seeking to transfer from a law school accredited by the American Bar Association (ABA), are in good academic standing, and have at least a 3.0 law school grade point average. 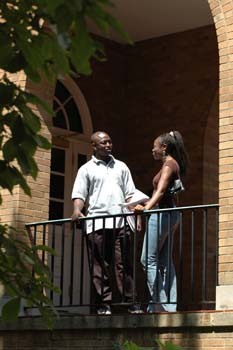 A student may transfer a maximum of 30 credit hours toward the Howard law degree. In evaluating a transfer application, we consider the quality of performance as reflected by the law school transcript. All students seeking transfer to Howard from another ABA accredited law school must have the dean of their law school send a letter of “good standing” and class rank. A decision will not be made on a students file until all grades have been submitted to HUSL.